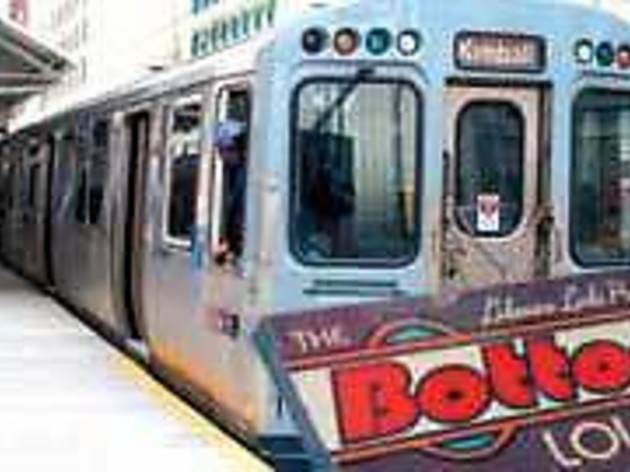 Like many businesses along the Brown Line tracks, the Bottom Lounge in Lakeview has been dogged for years by rumors that it would be on the chopping block once renovations for the El line began. The past four New Year's Eves have been billed as the club's last. 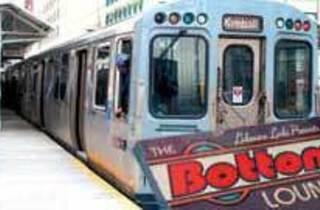 But the CTA's much-delayed Brown Line renovation project appears to finally be moving forward, and the owners of the Bottom Lounge believe the end may finally be nigh. "The CTA is in the process of acquiring the property at 3206 North Wilton Street and plans to demolish the buildings on the property as part of the Brown Line renovation project," says Ibis Antongiorgi, a CTA spokeswoman. The CTA has had the property in eminent domain since at least 2001, and has been planning on razing the structure to make way for renovations to the adjacent Belmont El station just as long. But after years of delays, the end is approaching for one of the city's last-remaining music venues that hosts all-ages shows—news that comes on the coattails of the renovation of the legendary all-ages music venue, the Fireside Bowl, which now offers mainly bowling and holds fewer, 21 and over shows. "It's definitely going to happen," says one of the Bottom Lounge's owners, Brian Elmiger, of the club's demolition. "They are going to get the property no matter how much we scream and kick. I assume sometime this summer the CTA will acquire our property." The knockdown will provide needed space to extend the Brown Line station platforms in order to accommodate trains with eight cars to pull in instead of just six. Upon completion, the stations will be fully accessible to people with disabilities and offer additional perks such as heaters and benches. Since before it was even called the Bottom Lounge, the owners of the music venue knew it was only a matter of time before their club was demolished. In 1991, Elmiger and Phillip Trimble opened the venue as Lakeview Links, a sports bar with occasional cover bands. Ten years later, they found out that the property, which has a capacity of more than 400, had been targeted by the CTA for eminent domain—when a government agency forces private owners to sell its property to make room for a public works project. They adopted the name the Bottom Lounge and started booking original music as a sort of last hurrah. (The main bar area in the club is still technically called Lakeview Links, and an old sign bearing the name still hangs outside.) "I never, in a million years, expected it to still be open now," says Dan Miskowicz, a manager at the club. Antongiorgi says the CTA is trying to reach an agreement on the price—something that Elmiger says could happen as soon as the end of this month. Once the CTA purchases the building, Elmiger hopes to keep the club open by leasing it from the CTA until as close to the demolition date as possible. Since the CTA has yet to finalize the schedule of when it will renovate each station, it is still unclear when the final show at the Bottom Lounge will be. "Our first line of action is to try and remain at that location until the wrecking ball comes," Elmiger says. "It may be another year or two before they start at the Belmont stop. That would, in theory, give us time to move to a new location." Which leads to the next hurdle. In addition to paying for the physical structure, the CTA is required under the Federal Uniform Act to provide relocation assistance to qualifying businesses and residential owners. But because the club's all-ages license is tied to its location, it is likely that the relocated club would not be able to continue hosting all-ages shows; bars hoping to retain their liquor licenses are in a similar bind. "The city is very, very hostile to bars and clubs," Miskowicz says. "Every chance they get to take away licenses, I think they take." The Bottom Lounge's situation is not only unique because of its all-ages license. While some businesses targeted for demolition rent from the CTA—like the hot dog joint Demon Dogs under the Fullerton station—the CTA does not own the Bottom Lounge building. The CTA typically shies away from exercising eminent domain to tear down buildings it does not already own, and no one can recall a time when the statute was used on an all-ages music venue that might have to relocate with a more restrictive license. "There's not really a precedent set," says Miskowicz.